The Marysville Jr. Bowling Association recently held its Alex Castaneda tournament. 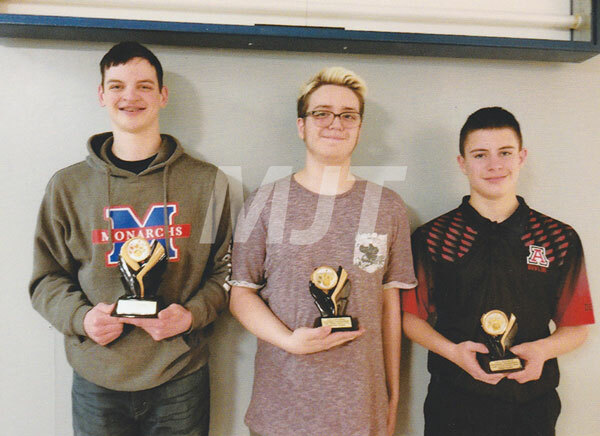 The top three finishers in the Jr.-Major Division (top photo from left) were Josh Geer first; Dale Barker, second; and Dominic Dellapina, third. 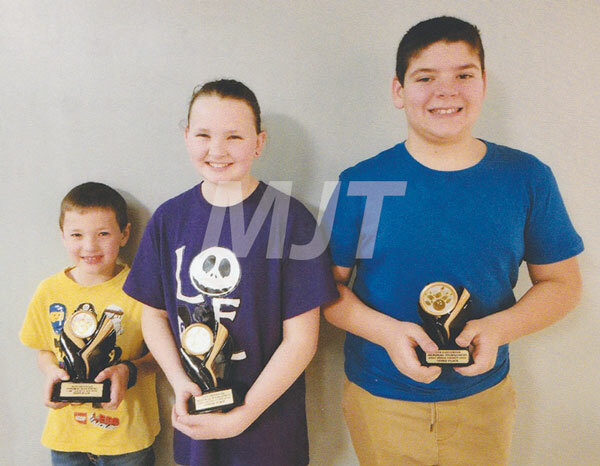 The top bowlers in the 13 and under division (bottom photo) were Keegan Donohue, first; Montana Donohue, second; and Justin Tompkins, third. Each placer received scholarship money to be put into the United States Bowling Congress-Smart program.